Most international airlines based in Asia are known for their high-quality service, down the the smallest detail. 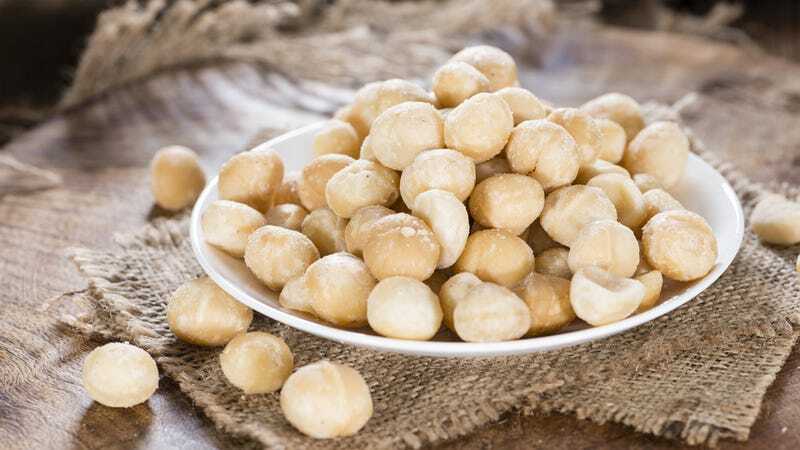 At Korean Air, that smallest detail is Macadamia nuts — and the daughter of the airline's Chairman kicked a flight attendant off a flight for serving them improperly. Last Friday, after Korean Air flight 86 from New York's JFK Airport to Seoul had already left the gate, Vice President of catering and in-flight sales Heather Cho ordered the Airbus A380 to go back to the gate. According to local reports assembled by Bloomberg, Cho was infuriated at the improper way the purser (head flight attendant) was serving Macadamia nuts, and demanded the crew member be kicked off the flight. Korean Air backed up up the VP's decision, saying in a statement released on Sunday, "The purser didn't know the company's procedures and 'kept on making up lies and excuses.'" The airline said the plane was only 10 meters from the gate when the return demand was made, and noted the flight was only 11 minutes late arriving in Seoul. South Korea's Transportation Ministry said it was investigating the incident, to see if any regulations were broken. On the decent human being side of the story, you've got to feel a little bad for the purser — especially when you consider the "I don't give a damn" attitude many of us encounter of domestic flights here in the U.S. But on the other hand, you also have to applaud Korean Air for not allowing their service standards to slip, even the tiniest bit.